Despite a game-high 28 points from Nick Dixon, the UTRGV men’s basketball team lost 84-71 to Grand Canyon on Saturday at the GCU Arena in Phoenix. Dixon connected on 5 of 12 shots from the field and 18 of 21 from the free-throw line while also chipping in five rebounds without a turnover. Greg Bowie scored eight points on 2-of-3 shooting from beyond the arc after sitting out since Dec. 30 due to a concussion, and Terry Winn scored eight points with nine rebounds in 19 minutes. GCU was led by a career-high 25 points from freshman Roberts Blumbergs, who entered the night averaging just 5.3 points per game. Joshua Braun scored 20 for the Lopes, while Keonta Vernon netted 13 points with a game-high 15 rebounds. The loss drops UTRGV to 10-9 overall and 2-1 in WAC play, while Grand Canyon improves to 12-6, 2-1. After a few minutes of even play, GCU used a 9-0 run to take a 20-10 lead with 10:01 remaining in the opening period. At halftime, the Lopes’ lead was still 10, 39-29. GCU scored the first seven points of the second half to stretch the margin to 46-29 with 17:52 remaining. By the midpoint of the period, Grand Canyon had built its largest lead of the night at 23 points. 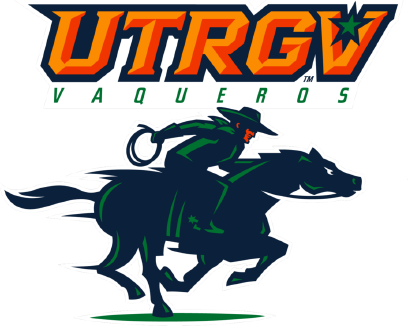 Dixon scored 13 straight points for UTRGV down the stretch, pulling the Vaqueros within 12 at 74-62 with 3:15 left in the game, but that was as close as UTRGV would get.